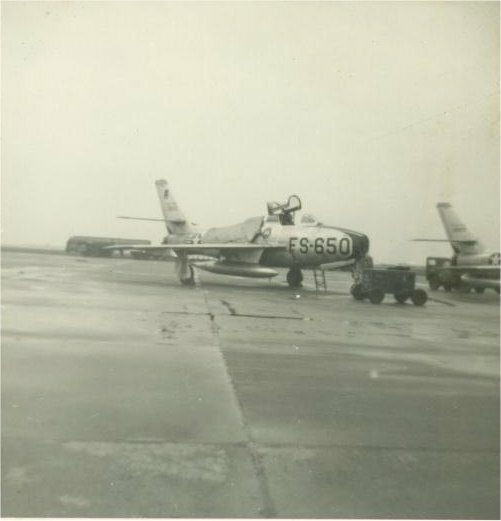 While I was stationed at RAF STA Weathersfield in September 1955, the base transitioned from F-84F Fighter Bombers to F-100 Fighter Bombers. This required a lengthening of the runways. 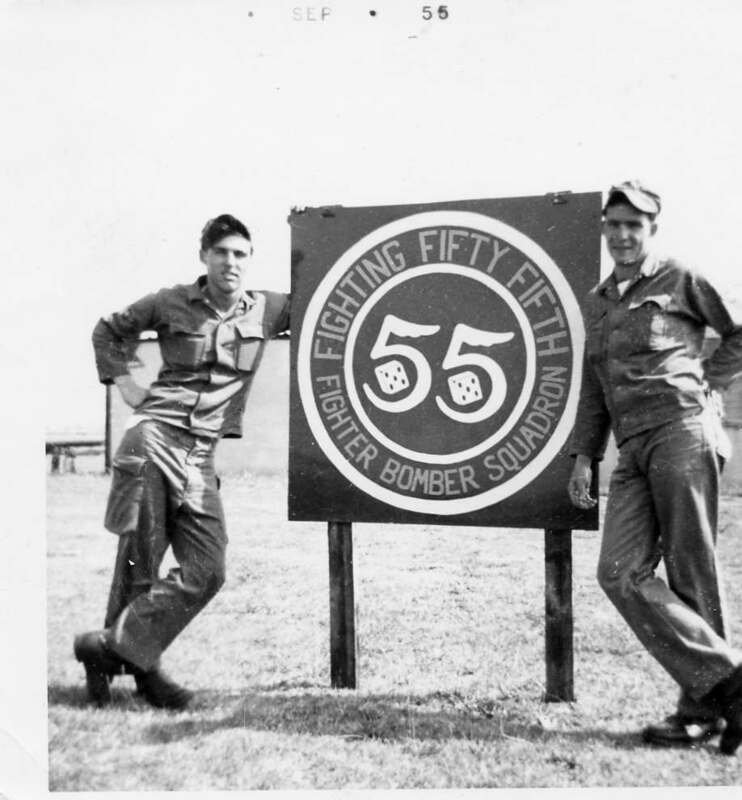 The 55th Fighter Bomber Squadrom was temporarily sent to RAF STA Scullthorpe for six months while the runways were lenghtened. I was sent with three other radio operators to provide the 55th with ground radio support for the duration. In April 1956, we were all sent back to our home base at Weathersfield. 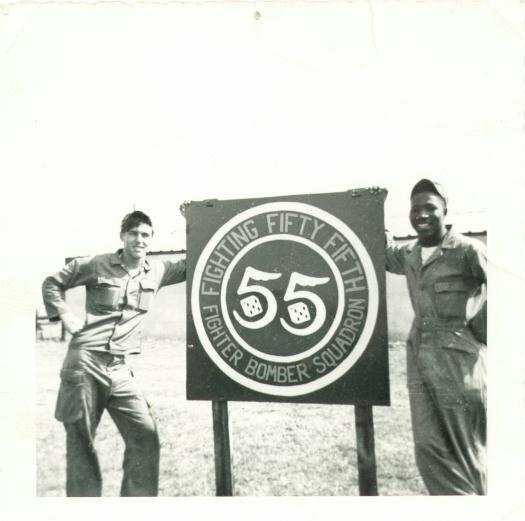 While at RAF Sculthorpe in 1955-1956, I went down to Base Ops one day and asked them if they had anything going to fly that I could fly in, just for fun. It just happened that day that they had a B26 Maurader (like the one shown above) going to fly that day and the pilot let me fly with them. 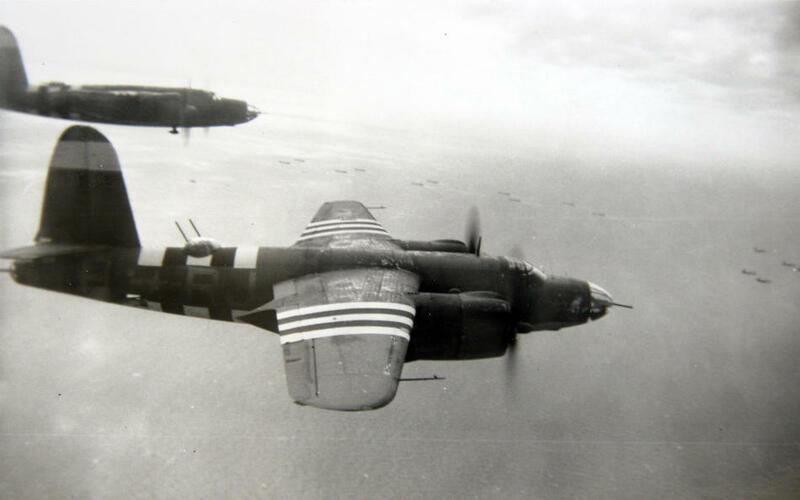 They flew all around England at about 5000 feet and performed RADAR checks with the various air fields. They even did touch and go landings. I had on a headset and could hear the conversations. They sure were accurate. Just as they said "You should be touching down NOW", I felt the wheels hit the pavement. I rode in the nose gunner's position and could lean forward and look up, down, right, and left. A beautiful view.